VpCI®-416 is a heavy-duty water-based alkaline cleaner and degreaser offering unique flash corrosion protection. 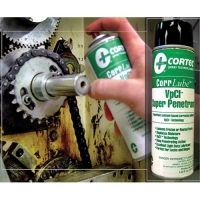 VpCI®-416 can provide corrosion protection for up to 6 months during indoor storage. 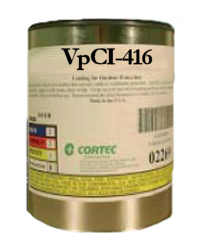 VpCI®-416 is formulated to meet the requirements for cleaning and corrosion protection of parts and storage equipment. 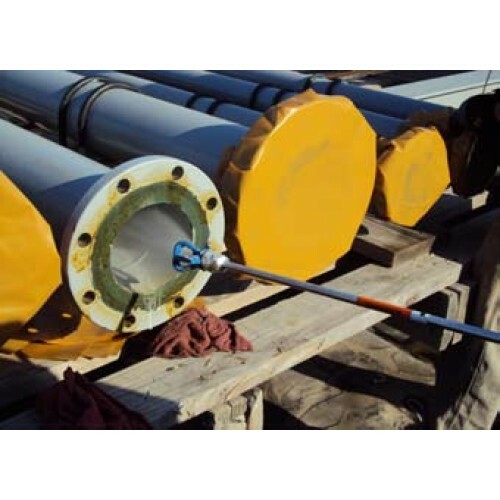 VpCI®-416 penetrates to remove greases and oil deposits from machinery, engines, vehicles, construction equipment, and cranes in either industrial or marine applications. The compounds contained in VpCI®-416 function by altering hydrocarbons so that the deposits can be removed with water. VpCI®-416 can be metered into power washers, steam cleaners, dip tanks, and other cleaning equipment. Along with good detergent properties, VpCI®-416 is hard water stable. While most cleaning compounds available on the market today are simple blends of surfactants and detergents which limit their cleaning effectiveness, VpCI®-416 offers improved cleaning plus multimetal corrosion protection action in one step, resulting in significant savings. VpCI®-416 has the unique ability to remove such deposits as heavy hydrocarbons, grease, drawing and buffing compounds, and machinery compounds.